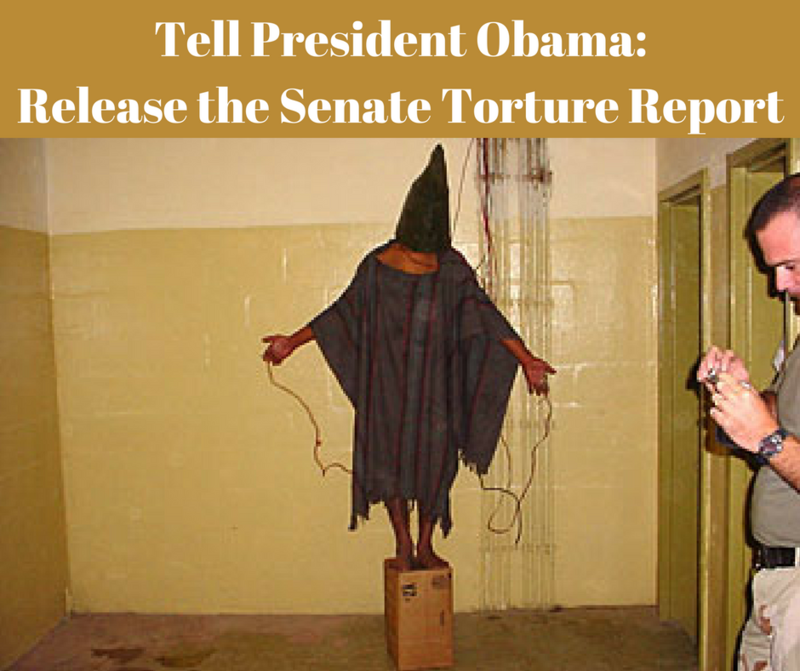 The Senate torture report won’t be destroyed when Obama leaves office. On December 9, 2016 President Barack Obama wrote to Senator Dianne Feinstein (D-CA), the Vice-Chair of the Senate Intelligence Committee, to inform her that he had included the Senate Torture Report amongst his presidential records. This move means the Senate Torture Report will be preserved under the Presidential Record Act and could be declassified in 12 years. He has not declassified and released the report. He has not instructed agencies to read, and learn from, the report. He has not made the report available to lawyers for Guantanamo detainees who have been cleared for release but who seem destined to remain imprisoned indefinitely. The 6,700 pages and 38,000 footnotes will not disappear, but they will remain classified for at least 12 years. We cannot wait until 2028 to have the truth about torture exposed, especially when the incoming President believe torture is effective and acceptable. In early January, we will deliver the thousands of signatures, including yours, on our petition demanding that President Obama release the report before he leaves office. This is an important step to shield the report from disappearing. The Department of Justice has argued, and the US Court of Appeals has agreed, that the Senate Torture Report is not a public record, so its inclusion in the President’s Records is key.. While Sen. Feinstein, as chair of the Intelligence Committee, took affirmative steps to see the Senate Torture Report preserved as a federal record, her Republican successor worked to undo those efforts. Sen Feinstein had transmitted the report to a number of federal agencies. Sen. Richard Burr literally asked them to return the report. We will continue to call on the President to immediately declassify and release the report, and will deliver the thousands of signatures we have collected demanding just that. If you have not yet signed the petition, please do it now! For more information on why it matters the Torture Report is classified as a public record and the struggle to preserve, please see Will the Senate Torture Report Disappear?